DEA Search Warrants: How Hard Are They to Get? You hear a lot in the news about DEA searches, seizures, and raids. Doctors’ offices and pharmacies are targeted all the time. And more often than not, if the DEA goes looking for some evidence of wrongdoing, they’ll find it. So what is required for the DEA to obtain a search warrant in the first place? As we’ll see below, the search itself is almost never the first step in an investigation – even though it might be the first step apparent to you. As with any law enforcement agency, the DEA cannot raid your office without a search warrant. Pursuant to the Federal Rules of Criminal Procedure, in order to obtain a warrant, the DEA must first make a case for probable causein front of a court of appropriate jurisdiction (usually a magistrate judge or a district court). The judge must then agree that the DEA has probable cause to reasonably believethat a crime has been or is being committed, or that there is evidence (whether tangible or intangible) of a crime at the place where the search is to be conducted. In other words, it isn’t enough for the agent to have a mere hunch or a strong suspicion. Vague innuendo or ambiguous statements from other witnesses won’t be enough either. Rather, the DEA must have a clear and articulable belief, based on facts and circumstances within their knowledge, that the search will produce evidence of a crime. And the agent must be able to make a reasonable case for that belief to the court. As a practical matter, DEA agents usually make their case for probable cause by way of an affidavit(that is, a sworn statement by one of the investigators about the facts they’ve learned in their investigation so far and why they believe the search warrant will further the investigation toward the uncovering of a crime). DEA affidavits are often lengthy and go into great detail, not only about the person or place to be searched, but also about the investigators themselves – their training and expertise in investigating doctors or pharmacists for drug crimes, for example – and will give the court details about the investigative steps taken so far. This might include measures you aren’t even aware of, such as statements from patients or undercover agents in your office or routine reviews of your billing histories. Doctors and pharmacists often have no idea they are the subjects on an active DEA investigation. 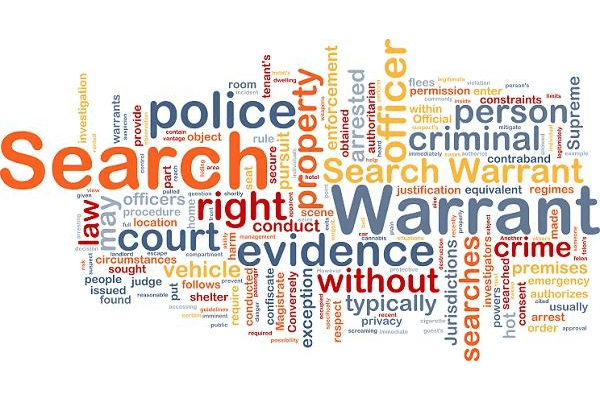 Even if the DEA can establish probable cause, the warrant must specify (that is, “define with particularity”) the place that will be searched and the property that might seized. For example, it isn’t enough for agents to say they’re going to seize “any drug-related evidence.” They must have some idea of the things they would find during the raid and list those things in advance. Once the search is underway, the agents do nothave ad hoc discretion to seize additional items or to expand the scope or location of their search. Unfortunately, in practice, DEA agents do not always conduct their raids within the narrow confines of the warrant. For that matter, just because a court issues a warrant doesn’t mean the agency truly had sufficient probable cause. As DEA defense attorneys for doctors and pharmacists, we are often able to challenge the admissibility of evidence found during a DEA search, either because the search exceeded the warrant or because the agency lacked probable cause in the first place. Sometimes, we challenge the admissibility because the government committed other violations of due process or federal law in the course of its investigation. Our nation’s founding fathers wanted it to be difficult for the government to conduct searches and seizures. That’s why they embedded protections like probable cause in the Fourth Amendment in the United States Constitution. In reality, however, if the DEA wants a search warrant, it usually won’t have too much difficulty finding a way to articulate probable cause to a court’s satisfaction. But because investigators must be able to present facts supporting the warrant, if a raid occurs, it means you’ve probably already been under investigation for quite some time. In that case, you should contact an experienced criminal defense lawyer right away. Oberheiden, P.C.is a national reach practice DEA defense law firm with one goal, avoiding or defeating criminal charges. Our attorneys have represented many doctors, pharmacists, nurses, medical executives, and public officials in the face of DEA search warrants. We believe in getting involved in a case as early as possible, and then executing aggressive strategies for keeping you in practice and out of prison. Are you or your clinic the subject of a DEA search warrant? Have you been contacted by a federal agent with a request for information? Are you concerned about statements you made or evidence that was retrieved during a DEA raid? Please contact us right away. Be very careful in dealing with the DEA. They can and will use your statements against you. They are noton your side. Avoid making statements during a raid. Contact a DEA defense attorney at Oberheiden, P.C.instead.